Provide institutional and user support services and community outreach. DSDR is a project supported by the Population Dynamics Branch (PDB) of the Eunice Kennedy Shriver National Institute of Child Health and Human Development (U24 HD048404). 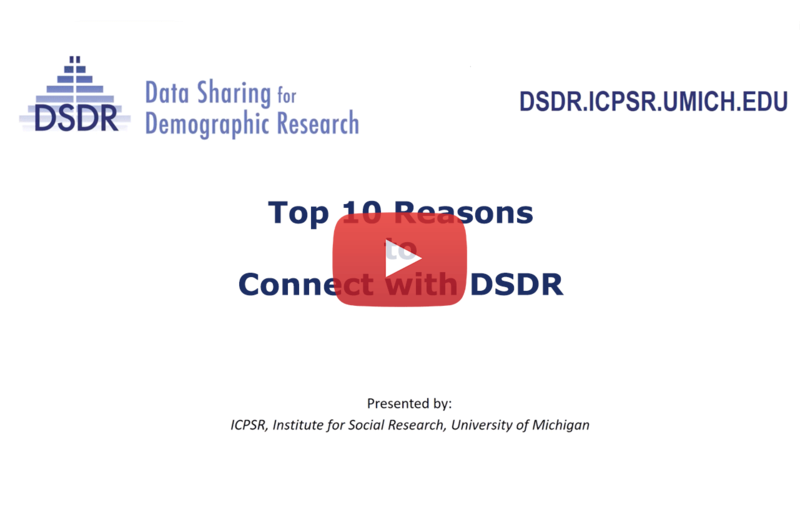 We are housed within the Inter-university Consortium for Political and Social Research (ICPSR) which is a unit of the Institute for Social Research (ISR) at the University of Michigan.. 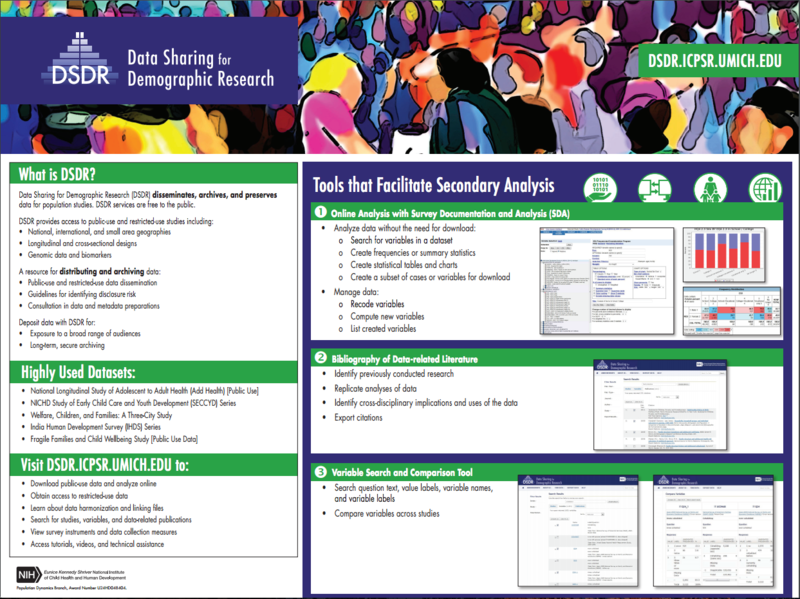 The DSDR project established the basis for a shared data infrastructure to support demographers housed in NICHD-funded population centers and those researchers whose data have particular relevance to demographic research. 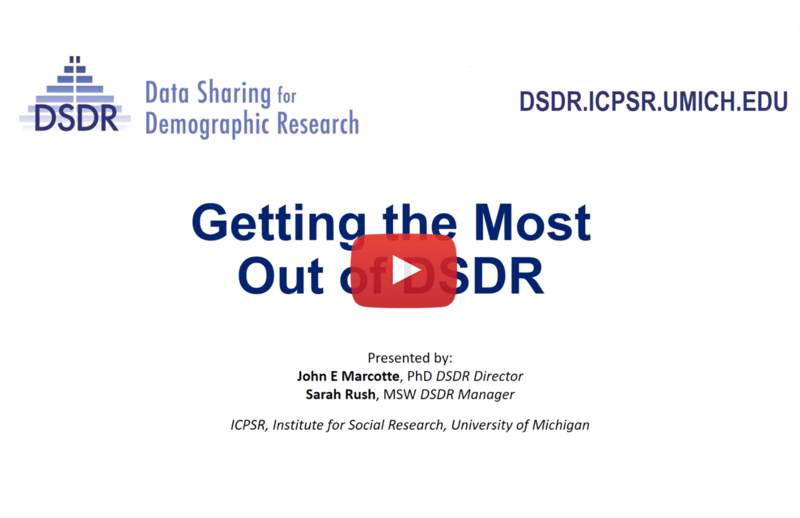 DSDR develops program activities that meet the needs of the research community's emerging interest in areas such as genomic data, data harmonization, deductive disclosure and big data.